Bereavement usually means losing someone we love through death and also follows on from change and loss. It is a devastating event, turning our world upside down and changing our lives forever. The death of a loved one is probably the worst loss we will ever experience. Grief is the reaction of over-riding intense pain and emotion that follows on from the death of someone who has been close to us. There is no single way to grieve. Everyone is different and each person grieves in his or her own way, and there is no telling how long it will take. Grief can express itself in many different ways, often with very powerful, frightening and confusing feelings. Because each person within the family grieves in their own particular way and at their own pace, it is important to take one another into consideration. Talk to each other about thoughts and feelings. 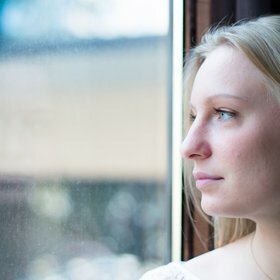 Although no two people's experiences will ever be the same, there are some common feelings which you may experience at different times in your grief. As well as a deep sadness, you may feel anger, fear, guilt, anxiety, loneliness, despair, preoocupation with the loved one that has died, denial, restless over-activity or apathy. All these feelings are natural reactions, but the intensity may leave you feeling that you are not managing everyday life in the way you would like to. Most bereaved people suffer from depression at some stage in their grief. The main thing to remember is that this is not a permanent state. It will pass when its purpose has been achieved. Although some people may need professional help if it deepens and persists. Accept that it isn't unusual not to feel your 'normal' self. Be gentle with yourself for grief is an exhausting thing. Let yourself experience the feelings you have about what has happened and talk to others about it - over and over again if you need to. Write down all the feelings that are going around in your head, especially before going to bed as this may help you sleep better. You may need to find out more about what happened if all the facts are not clear about how your loved one died. Sometimes you will never know. Some return to routine can help as long as you try to balance this with time to reflect on what has happened to you. Try sticking to a regular routine of eating, sleeping, exercise and relaxation. Look after yourself. Your self-esteem may have taken a real knock. Acknowledge yourself each time you achieve something, even if it is getting up in the morning or staying in bed to give yourself a rest. We can be very good at noticing all our mistakes and ignoring our good points, especially when we are feeling down. Remembering happy times with the person who has died can be painful but nontheless healing. Looking at photographs, making a memory book and keeping meaningful mementoes may help. Take things slowly. You might want to delay making big changes such as moving house, starting a new relationship or changing job. You have already suffered a huge loss and need to adjust to that first.